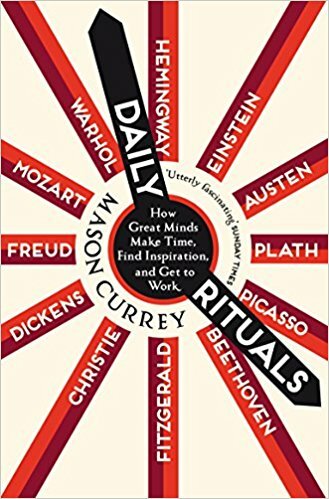 B. J. also recommended Daily Rituals by Mason Currey for anyone who would enjoy seeing the daily routines of legends like Steve Jobs, Charles Darwin, and Charles Dickens. "It is so reassuring to see that everyone has their own system, and how dysfunctional a lot of them are". Reading Daily Rituals by Mason Currey dramatically improved my productivity and work-life balance. It showed me that most great historical figures weren’t workaholics, but instead worked hard (mostly in the morning) and then had plenty of unscripted time in the afternoon to ruminate, digest, and brainstorm. It’s a model I’ve tried to emulate, waking up early in the morning, churning out a bunch of work before lunchtime, and then taking it relatively easy thereafter.